Krispy Kreme, the world's most awesome doughnuts, is coming to Nigeria. The brand, founded over 80 years ago, and famous for producing fresh doughnuts daily, is coming to Ikeja City Mall, opening 7am on March 10th. Crowds are expected, as Krispy Kreme has already made a splash around Lagos, with its "doughnut drops", gifts of doughnuts to lucky Lagosians, leading up to opening. Krispy Kreme's fleet of vans were seen acrossn the mainland and island, emblazzoned with their mission of bringing "More Joy to Eko." Doughnut drops occurred at the Lagos Marathon, Lagos Social Media Week, Maryland, The Palms, Alausa, Oregun and Ikeja GRA. 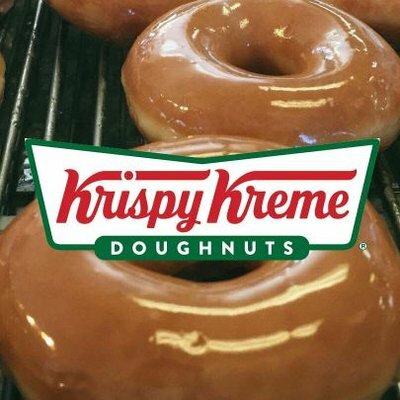 Krispy Kreme has built quite a following on Instagram, with fans lauding the choice of flavours, drinks and iced shakes - most famous being the Original Glazed dougnuts. NBA champ Shaquille O'neil is a fan and brand Ambassador - and lives the dream, as a Krispy Kreme shop owner in Atlanta, Georgia. A select group of Lagos Journalists, food bloggers and social media influencers gained a sneak preview of Krispy Kreme's famous Doughnut Theater at a briefing held yestersday at the Ikeja City Mall. Journalists were able to see the whole fresh doughnut process, which is on the display through a specially designed window and admire the brand-new premises, which offer an amazing retail experience. Centre to the experience is Krispy Kreme's unmistakeable neon Hot Light Sign, which lights up red, when the fresh melt in your mouth doughnuts come off the line. The expansion of this Krispy Kreme brand into Nigeria is implemented by Quality Foods Africa (QFA). In bringing Krispy Kreme to Nigeria, QFA has invested in the best qulaity equipment and recruited over 200 Nigerians, putting them through extensive training to ensure the customer experience is world class. Store furniture is manufactured in Nigeria and produced by Nigerian craftmen. Krispy Kreme is known for its coffee culture and a special blend of Nigerian, Rwandan and Kenyan coffess has been prepared in Nigeria. QFA Marketing Manager, Busayo Awosiyan, said: "We are so proud to bring awesome doughnuts to the most vibrant city in Africa and Africa's largest economy. We are really excited to spread the joy of Krispy Kreme - and greeting all of our fans at our Grand Opening on Saturday, 10th March at 7am, at Ikeja City Mall, when our Hot Light will be on for the first time."